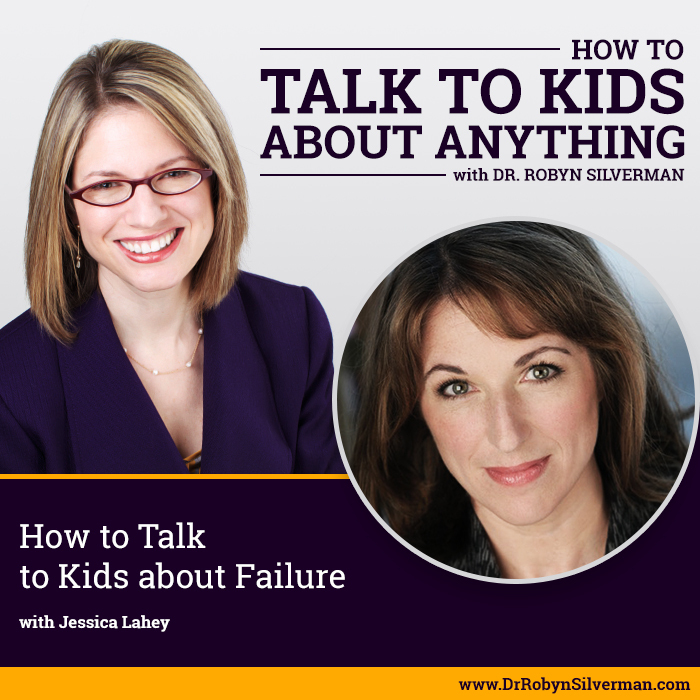 This podcast will focus on how to talk to kids about suicide– whether a parent or educator is having an informational conversation, a conversation because they believe someone is at risk or a conversation because they have lost someone to suicide. Dr. Robyn Silverman talks with SAVE.org’s Dr. Dan Reidenberg about suicide warning signs, the role of media and social media, why certain groups are more at-risk and what we can do now to help prevent or possibly stop a suicide from happening. As suicide rates are going up, this conversation is more important than ever. It might just save a life. Listen, then have the conversation today. The numbers are not in our favor—suicide rates are increasing. For younger kids- 5-9 year old range- is increasing as well. We need to be age-appropriate and developmentally appropriate. If you can have a conversation about suicide before a tragedy happens, this would be best, if possible. Tie the conversation with something your child already knows- a disease—a TV show. Find a quiet place or a familiar space when you tell a child about a specific suicide. Young kids don’t need much detail. Older kids might need more. People talking more about mental health and suicide. We used to have greater stigma. What impacts suicide numbers: The economy has a big impact on suicide. Unemployment rates have a big impact on suicide. Many people with suicidal thoughts feel that they are a burden on family. LGBTQ population are at greater risk for suicide. Antidepressants can impact suicidal thoughts when young people start antidepressents (within first 2 weeks)- so watch them. Media and social media- for example- 13 Reasons Why- there was an increase in suicide. Using media: How did you feel about what you saw on that show? (Takes it away from the personal piece). This can open discussion- before you get into questions about friends and self. Start with the less personal- then make it more personalized to them. Then- have you ever felt that way? You can then equate it to feelings- and something they know; “you know when our dog died- and you were really sad- and how you cried- and how we banded together as a family and what we did to band together. They learn mastery over a crisis. “When you have a bad thing to get through, we want to make sure you can get through it. And if you can’t get through it, I want you to come to me or a teacher, coach, someone in the faith community. Talk to someone and you’’ figure it out together. We want our kids to learn coping skills. This can help them get through emotional crises. Need to listen to your intuition. If you think a child is not through a frustration, challenge or trauma. Must follow up- research says more than one time- reduces risk of suicide. Also- it’s ok to talk about it- you are not putting the thought in their heads- you are not triggering it. You want to help them know they’ll be ok.
90% of people who die by suicide have a mental health issue. Mental health is talked about more than ever- Robin Williams, Anthony Bordain, Kate Spade. 13 Reasons Why. Still a stigma but more talked about now. 47,000 people died by suicide in 2017. Young people- 6000- most adults and seniors. Low base rate phenomenon. Most people with a mental health issue don’t commit suicide. Too much- but still small amount. Pruning happening in adolescence. Impulsive at that time. LGBTQ- concerned about talking to anyone about their feelings for fear of what family will say. Parents/educators know the children well and see them so much of the day—and yet, have kids who are lost to suicide- how can this be? By and large, most of them say, after it happens, “I had a gut feeling but I didn’t want to believe it…I didn’t think it would happen to my kid. But I knew it.” We rationalize and we think it can’t and this clouds our judgment. But if we trust our gut, we may be able to catch a tragedy before it happens. Adolescence is a hard time for teens and it’s a hard time for the parents. Brain changes, world they are living in, separating from parents, getting more aligned with peers, peer pressure, online media, they think about the here and now- everything is monumental to them—it’s huge to them. Anecdotal warning signs: Are they acting out of character for who I know them to be? Communicating intent to die: “I hate my life; I just want to die.” “I’m going to kill myself tomorrow.” “Everyone would be better off without me.” (disguised, indirect) Must be put into context- and trust your gut again. Look for ways to die: Start looking up ways to die or looking for things around the house that could help them die. Gun cabinet. Medications—check, there in the right amount? Other warning signs: Feeling trapped, no hope for the future- not looking forward to anything. Verbal statements- “being a burden.” A big percentage- actually use the word “burden”- they feel they are a burden to their family or teammates or community. If you know, think or believe someone might be thinking about suicide- (1) have the conversation right now. Don’t wait. You might miss your opportunity. (2) If you have any reason to believe this might be happening, if you are worried or suspicious, you need to be clear. You can’t dance around the issue. Be direct. Don’t say; “Hey Johnny, it doesn’t seem you aren’t really feeling well lately.” Say “John, I’ve been worried about you. Have you had thoughts about killing yourself or taking your life? Do you not want to be alive anymore? Have you thought about committing suicide?” Communicate a fatality component- that is critical. (3) Listen. Do they have a plan? When? Have they been looking it up? Time? Place? Method? (4) This is really concerning- but we’re going to get you some help. We’re going to get you through this. I’m going to stay with you until we get you to the right place/right person. Talking about it doesn’t make the person want to do it more or give them the idea- research says it gives them a sense of relief. Take down anxiety. Connect with their brain where it’s at. Reintegration plans for a child who has attempted suicide- modified lesson plans, check ins with many people, don’t over burden, don’t want people walking on eggshells- so that they feel isolated and weird about what has happened. Reitegration for home- before they come home, have the conversation so everyone knows what to do/say. And relay that they are loved, supported. “You get the stomach flu, you don’t go and have a pizza or your first meal. YOU slowly get back into it. You have some water. Bland foods. Same kind of thinking when someone has attempted suicide- slowly get back to their life. And a scale of how they are doing each day. If there has been a suicide- this IS confusing for kids, for adults and for professionals. It’s about addressing the confusion. We may never know exactly why we lost someone. What got them to this place that they decided they couldn’t get through it.